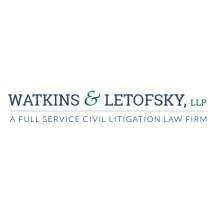 Watkins & Letofsky, LLP, is a full-service civil litigation firm offering quality legal services in a broad range of civil practice areas, from construction law and business litigation to employment law, subrogation, elder law and estate planning. Our clients include businesses, employers, employees, insurance companies and individuals. With offices in Newport Beach and Las Vegas , we are able to effectively represent our clients throughout California and Nevada. With decades of combined experience — including experience handling complex, multimillion-dollar litigation — our attorneys bring a wealth of knowledge and practical insight to every legal matter. Our experience representing both plaintiffs and defendants in diverse fields of law provides us with a well-rounded perspective. Together with our dedicated staff, we work as a team, taking a collaborative approach to hone effective strategies and develop efficient legal solutions. Our exceptional interpersonal skills enhance our working relationships both within the firm and with clients.